Almost everyone is so busy with holiday planning and shopping these days that safety precautions often fall by the wayside. While the holiday season is a time of joy and laughter, it is important to follow a few safety guidelines. ClearCare Online recommends caregivers use their home care software to set tasks and reminders to help keep their senior clients safe during the holidays. When choosing a live tree, check to see that the bottom of the tree is sticky with resin, and the green needles do not break when bent. A healthy tree will only lose a few needles and pose less of a fire hazard. Place trees away from fireplaces, vents, and space heaters. Use noncombustible or flame-resistant decorations. Keep burning candles within sight, and blow out before going to bed. Even better – use battery powered candles. Before stringing up Christmas lights, check for cracked sockets, damaged wires and loose connections. Throw out broken sets and purchase new lights that have been safety tested. Turn off lights before leaving the house or going to bed. Timed reminders for this can be set in ClearCare Online’s home care software. Many families will be hosting dinner parties this holiday season. If you will be using a fireplace, be sure to place a screen in front to catch any stray sparks. Never burn wrapping paper or plastic inside your fireplace, and don’t leave fires unattended. For those who will be decorating themselves, be sure to use a sturdy step stool to reach high places. Never stand on chairs or other furniture. It is advisable to wait until a family member or caregiver is around to help. Families who use ClearCare Online’s home care system and home care software can coordinate with the care team to arrange who will be helping on which days. This prevents the burden from falling on just one person. The National Safety Council also bids families to use caution when cooking and serving holiday meals. Again, caregivers can set specific tasks in their home care system so preparations stay organized. With proper planning, seniors are less likely to become stressed and make mistakes. Wash hands and utensils after handling raw poultry. Handle knives with care, and keep them sharp. Most injuries occur due to dull blades. Use a clean food thermometer to cook foods to a safe internal temperature. Wipe down all counters and tables thoroughly to avoid the spread of bacteria. The holidays can be a stressful time for families. Relieve some of the anxiety by using a reliable home care system or home care software such as ClearCare Online. 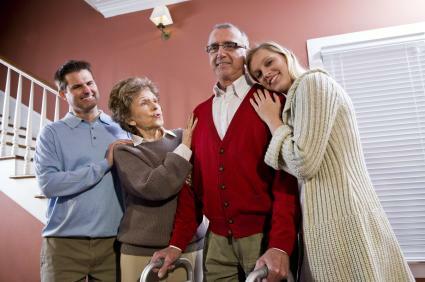 Entrusting your loved one’s care to a reliable caregiver will allow you the time you need to make preparations for the holidays, as well as more fully enjoy the festivities. ClearCare Online’s home care system and home care software have been designed to help keep seniors safe and independent in their homes. If you have questions about finding appropriate care for your aging relatives, check out our recent post on Finding Reliable Elder Care and learn how a home care system like ClearCare Online can benefit your family this holiday season – or any time of year.